WELCOME TO THE BRUCE PENNINGTON official website. 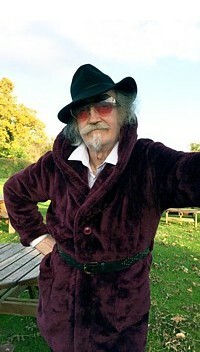 Here you will find a wide range of work from throughout his career, much of it never shown in public before. You can also buy original paintings from the Saleroom. Having been retired for many years now, he no longer takes on original commissions, though does continue to paint and draw on his own account and is happy to grant permission for his work to be used in other ways. In fact it has reached a whole new generation through its popularity as album covers for what might very loosely be called Heavy Metal bands. Click on the cover shown above for some examples. 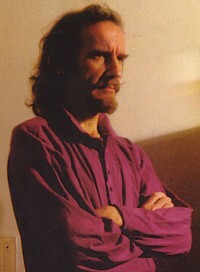 IN AUTUMN 2014 Bruce Pennington featured in the lead article of Illustrators magazine Issue 9, in which he tells the story of his artistic life in his own words. 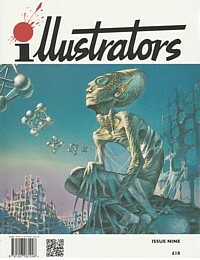 The article is lavishly illustrated with examples of some of his most iconic book covers from the 60s to the 80s and beyond notably Robert Heinlein's Stranger in a Strange Land, Frank Herbert's Dune series and many covers for Brian Aldiss and Ray Bradbury that raised the bar for other SF illustrators at the time. 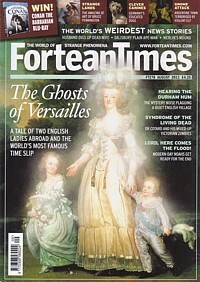 For more information and details of how get copies of this issue visit the Bookpalace website. 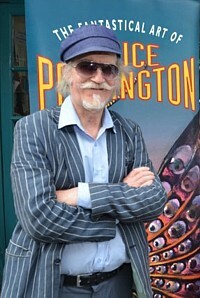 IN 2013 PENNINGTON held an exhibition and was a guest of honour at the World Fantasy Convention in Brighton. This was only the third time the Convention had been held outside North America, the last time being London Docklands in 1997. Pennington's attendance was largely thanks to Stephen Jones, one of the organisers who personally chose and collected the paintings to go in the exhibition and otherwise smoothed the way so that all the artist had to do was turn up on the day at the Brighton Metropole Hilton. Other artists at the show included Bob Eggleton (pictured centre left with Pennington and Nigel Suckling) Jim Burns, Les Edwards, Alan Lee, Lee Moyer, Autun Purser, Mike Nash, Mark Ferrari and many others. 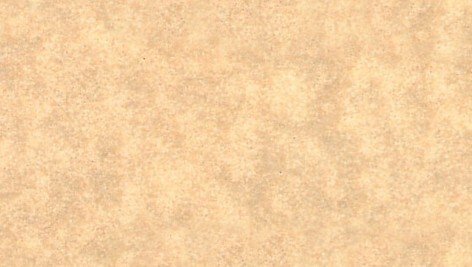 To contact Bruce Pennington, click HERE to have a message forwarded to him. 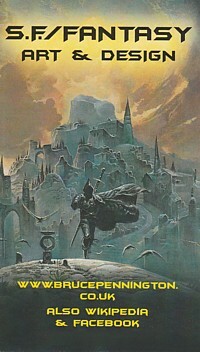 IN AUGUST 2012 the Paperback Fanatic magazine published a two volume special commemorative edition celebrating Bruce Pennington's cover art. The first 64 page volume contains biographical notes and a thorough (though almost certainly not complete) checklist of his book covers. The second 72 page volume simply reproduces covers at more or less their original size. Because of practicalities and the desire to show as many book covers as possible, much of the biographical material Pennington and editor Justin Marriot produced for this edition could not be included. However, this has been remedied HERE by Steve Lines who has produced a website containing the full text plus many personal photos. THE FIRST EVER BRUCE PENNINGTON EXHIBITION was staged in August 2011 at the famous ATLANTIS BOOKSHOP in Bloomsbury, central London, close to the British Museum. Click on the image right for a selection of photographs taken at the exhibition launch by Adam Oliver (the Facebook page may take a while to load). Coinciding with the show was an illustrated article in the August edition of Fortean Times by David V Barrett titled Strange Lands: The Art of Bruce Pennington. FANTASY ARTIST BRUCE PENNINGTON was born in 1944 in Somerset. Art was his main interest at school and after his family had moved to the south-east of England near London he began, around the age of 15, to attend evening classes at the nearby Beckenham School of Art, mostly doing life drawings from professional models. This led to being accepted there as a full-time student from 1960-62. From there he graduated to Ravensbourne College of Art in Bromley. By the end of his studies Pennington had become disenchanted with Fine Art and so, exchanging 'Fine Art boredom for Commercial Art whoredom' he began work in film posters whose boldness and vulgarity he felt to be a continuation of Pop Art, which had been one of his passions at college. At the age of twenty-one, in the mid 1960s, he was ambitious and confident enough to plan leaving film posters for a career as a freelance illustrator. Between 1964 and 1966 he gradually built up a portfolio of his own private works in the hope of attracting publishers as potential clients. To view a sample of its contents click HERE. PENNINGTON'S FIRST SF BOOK COVER was a commission in 1967 for Robert Heinlein's Stranger in a Strange Land. This led to many other SF covers for New English Library with whom for a while he felt he had found his artistic home, becoming one of their foremost cover artists. 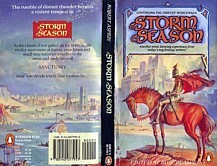 Not least of their commissions were for Frank Herbert's Dune series, but he worked for many other publishers and authors too. In the early 70s Pennington moved on to Horror fiction, illustrating covers for authors such as Arthur Machen, H.P. Lovecraft, August Derleth and Clark Ashton Smith. These dark and violent fantasies led to a misconception at the time that Pennington himself was some kind of gloomy pessimist. 'But the opposite is true,' he once said. 'These pictures are not my personal nightmares, just a subject for painting.' In practice his general demeanor is one of cheerful optimism. 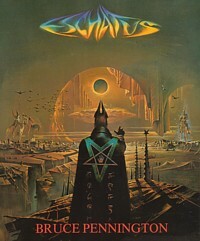 Pennington's walk on the dark side culminated with the publication in 1977 of Eschatus, his interpretation in words and pictures of the prophecies of Nostrodamus. This was a very satisfying though exhausting project, after which he returned to book cover illustration with some relief. 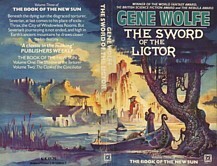 The work that then came along was mostly in the Fantasy vein, for authors like Philip Jose Farmer, Gene Wolfe, Eric van Lustbader and A.E van Vogt. Towards the end of the 80s Pennington moved away from commercial illustration in favour of more personal work, a chapter of which can be seen in Ultraterranium, a collection of his work published by Paper Tiger in 1991. Click on the link at the top of the page to see a selection of pictures from the book. Other collections of his work published by Paper Tiger were The Bruce Pennington Portfolio 1990, containing 28 large-format (A3) prints, and a miniature book in 1994 with 20 exquisite little spreads.